I have definitely been making some huge changes! 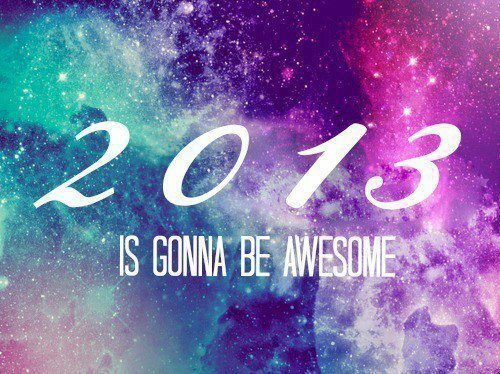 Soo there is no wonder that I’m excited for 2013. I've actually been making a lot of changes since I got back from Europe in October: eating my vitamins, exercising erryday, eating healthier, and implementing some new habits that needed to happen. And deciding on and committing myself to a new career. And I'm really proud of the changes I'm making. that I want to focus on, and really help me reach my goals this year. My word of the year is COURAGE!! Every time I'm doing something, or if I forget the reason why I'm doing it, this word is my constant reminder to have courage to do the things that I normally wouldn't do. Courage to step out of my comfort zone. Courage to start this new blog. Courage to change my career for something that makes me even happier. Courage to be vulnerable on this blog. Courage to starting completely fresh. Courage to do me without thinking about what others think about it. Courage to walk away from something so I can think and try something new. Courage to be different and do things that are not the norm. So Courage's my word of the year, What's your word or phrase for 2013?